An expanded version of this article can be found here. The Apple iPhone 6 and iPhone 6 Plus are Apple's latest generation of their iconic and influential smartphone, only this time they take a break from the past and are much bigger devices. The Apple iPhone 6 has a 4.7" 750 x 1334 pixel display, the larger Apple iPhone 6 Plus comes with a 5.5" 1080 x 1920 pixel screen which is roughly the same thing that most of the competition has. Physically, the iPhone 6 and iPhone 6 Plus are curved around the edges a bit like the early iPhones, but with design hints of the newer iPhones too. Underneath, both these iPhones are now 64-bit devices, running on the new Apple A8 processor. There's also a new motion coprocessor, the M8, which helps to take the load off the main CPU. The operating system has also been upgraded to iOS 8 which should run apps faster, with an emphasis on gaming abilities. 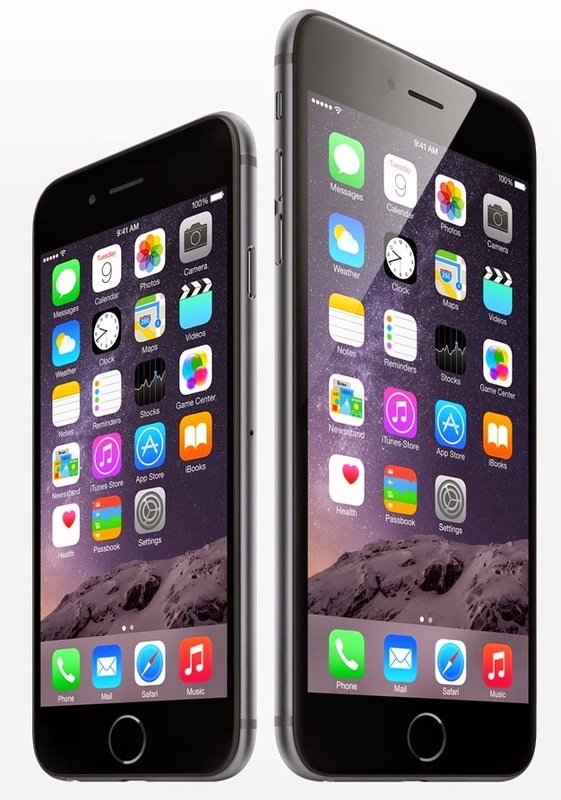 The iPhone 6 comes with 16GB, 64GB or an impressive 128GB of onboard flash storage. Both devices will start to ship from September 19th onwards in the US. The base model is the 16GB iPhone 6 at $199 when taken with a new two-year contract, the most expensive is the 128GB iPhone 6 Plus which is $399 with the new contract. The price differential between the Plus and the smaller iPhone 6 is $100. Apple say that they are aiming for these phones to be available in 115 countries by the end of the year. Available colours are gold, silver and space gray. "The iPhone 6 comes with 16GB, 64GB or an impressive 128GB of RAM." Does the author know anything? Not RAM, indeed. That's what happens when you are in a hurry :) Corrected.